TRANSBOUNDARY E-COMMERCE: A worker wraps a Buddha statue before being shipped to China. While souvenir shops in Kathmandu and Patan are worried that the number of Chinese tourists had dropped by half after last year’s earthquake, Nepali handicrafts have found a foothold in the Chinese market through an informal social network called Daigou. The network specialises in buying and selling exotic items unavailable or hard to find in China, usually through social media network WeChat or the e-commerce site TaoBao. In Nepal, this grey market operates through a network of professional agents and individual buyers in Thamel who visit Nepal regularly to source popular items like Buddha statues, Thangkas, Bodhi Citta beads, wood carvings and silver accessories. 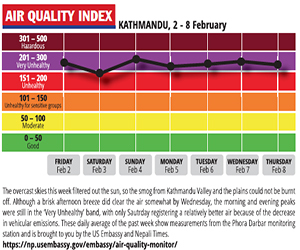 There are an estimated 100 Chinese in Kathmandu involved in the Daigou business, according to supplier Yong Qiang who has lived in Thamel for over three years. 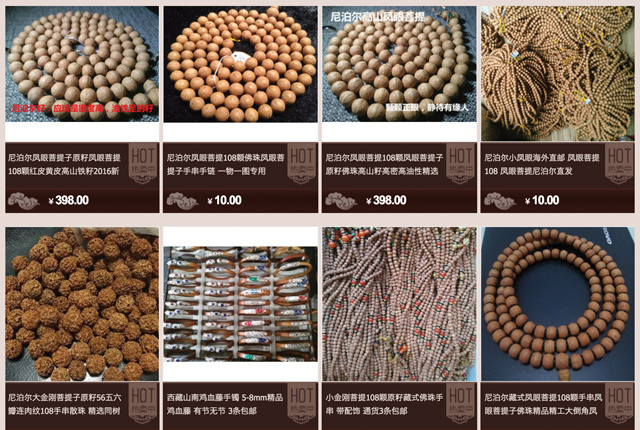 A screenshot of the Chinese online shop TaoBao featuring Nepali bead products. “Nepali souvenirs have a cult following in China, and people are willing to spend quite a lot of money to acquire items from here,” explains Ye Zi, another Chinese traveller who is a Daigou member and has a lot of confidence in the market in China for Nepali products. This September alone, she bought Thangkas, silver items and wood carvings worth Rs 473,000 in Kathmandu, and sold them through Chinese e-commerce sites within three months for a profit of Rs 315,000. The margins are so high that Daigou groups have now expanded from mainland China to Taiwan. A Google search for ‘Nepal Daigou’ in Mandarin directs customers to the Facebook page of Kitty Inc. based in Taipei with nearly 25,000 followers. For the past three years, Kitty has been operating a cooperative in Thamel that manufactures customised jewelry for clients in Taiwan. The rapidly growing market is also a big source of revenue for Kathmandu-based express courier services which are a part of the logistical supply chain. 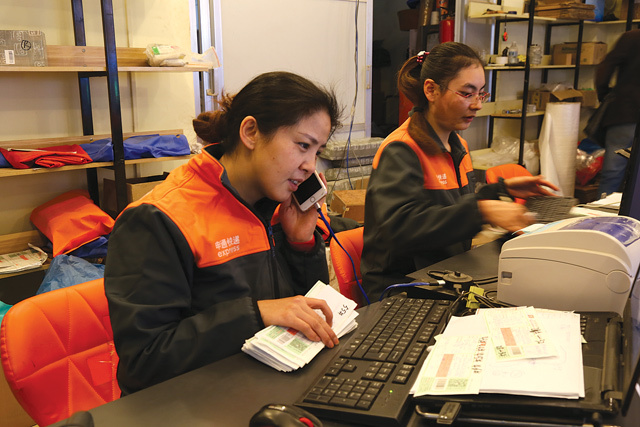 Yanli Wu opened a branch of Shen Tong, a Chinese courier company, on Thamel’s Amrit Marg three months before the 2015 earthquake and has among her customers 30 Daigou shopping agents who use her courier service to ship products to China. Yanli Wu’s courier company in Thamel provides services to more than 30 Daigou shopping agents. Reliable supply and logistics are crucial for this business, as Daigou member Ren Fan found out the hard way. He decided to quit after spending months struggling with uncertain quality of Nepali products and unreliable shipment from Kathmandu. With so many suppliers and fierce competition, Daigou members have opted to specialise. Some deal only in Bodhi Citta beads (see box), or like ShidaChe, have registered a company that sells Rs 8 million worth of khukuris from Nepal in China. Daigou also operates from Australia, importing items like milk powder (because of fears of contamination in China) and from Europe (designer luxury items). In Nepal, Daigou sales mainly involve religious artefacts and handicrafts. With intense competition to sell Nepali cultural products in China, some Daigou agents have specialised in high-value items like sacred Bodhi Citta seeds which are used in Buddhist prayer beads. Also called two-eyed Bodhi beads, they are seeds of trees that grow in the wild and are found abundantly in Nepal’s midhills. In recent years they have become a source of good income for Nepali farmers. 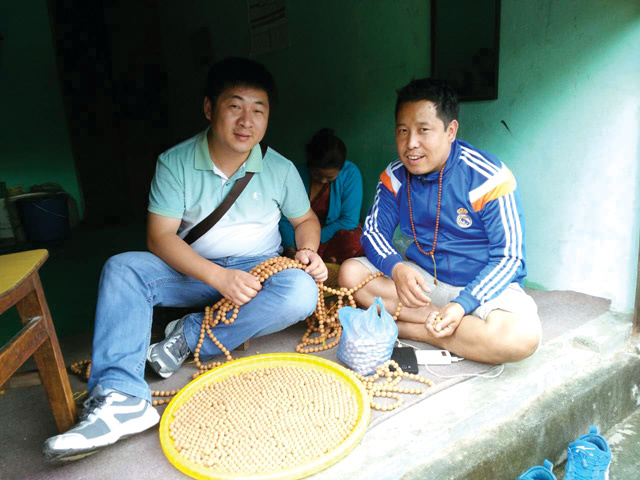 Yundan Jiacuo is a professional Daigou agent who has been selling Bodhi Citta prayer beads on WeChat and sources his seeds from villages in Kavre district to the east of Kathmandu Valley, buying up to Rs 200,000 worth of the holy seeds on each trip.